Would you like to buy a few metric tons of tomato paste? For only $786 per metric ton you may purchase a minimum of 20 metric tons in 238 kilogram drums. That’s one of the interesting business opportunities that are dropped in the email box of a food blogger these days. Food bloggers also receive lots of offers for coupons. The scheme goes like this: if the blogger will just agree to write nice things about Company X, the company will provide coupons to offer to blog readers as enticements for them to visit, thereby driving up the blog’s popularity as measured by page visits. Instead of money and real compensation, manufacturers and marketers offer the food writing community coupons in exchange for the virtual currency of “visits.” Using coupons of very little value, and shamelessly taking advantage of blogger vanity, the company receives “exposure” without having to spend a single honest dollar for advertising. The problem is that this currency of “visits” and coupons is coinage that the blogger cannot spend or barter for things of real value. In contrast to the coupon offers, the solicitation to purchase a metric ton of tomato paste feels respectful, – a potentially honest, clean business arrangement instead of like cash left on a dance hall girl’s bedside table in a film noire. The blogger can reject coupon and sample offers every day, even when the offer is for a delivery of sample beer. Perhaps all bloggers should, united, refuse the “cheap date” coupon and sample offers, just as a matter of pride even if they don’t care about earning a living. The recent tomato paste sales pitch caught my attention and made me wonder about the global value and volume of tomato paste. Haunted by the idea, I couldn’t really leave the subject alone. As soon as I began to think about it, I saw tomato paste everywhere. Americans consume 2.5 billion pounds of tomato paste each year, in various forms – condiments, pizza and spaghetti sauces, drink mixes. [ii]Hundreds of millions of metric tons and billions of dollars’ worth of tomato paste are moved hither and yon, all over our now-flat world[iii], eventually landing on the shelf of the local grocery store in ludicrously sized 6 ounce cans. Elizabeth David tells us that in Italy “before the days of canned food and preserves concentrated tomato paste was made by drying the cooked tomato sauce in the sun.” She reports that it was sold in “loaves the colour of dark mahogany” and she notes that the commercial product available in Parma fifty years before she was writing (so around 1908) reduced the tomatoes to 1/7 of their original volume[iv]. She notes that only a very small amount of tomato paste should be used as it is very strongly flavored. The vast amount of tomato paste we humans use has lured the dishonest broker to the table, so government resources and strategies for quality control have been brought to bear. Aside from ascertaining what the components of a paste are, it is also difficult to assess the quality of pastes when surreptitious thickeners are used to sop up the free liquids in the paste. A company might very well try to thicken up their tomato paste with something other than tomatoes, and so begins the procedural-crime-drama game in which the government tries to regulate the requirements for various food products. Unregulated, the contents of any canned food would likely be a mystery. The device recommended for measuring consistency is laid out: The Bostwick Consistometer[xi]. 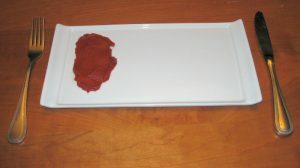 This device is still in use today, even available on Amazon.com, and allows the user to create a sort of lava-flow of ketchup or mustard, or in this case tomato paste, to see how far the condiment will travel in a given time. A low number represents a thicker condiment. It is easy to imagine testing a squirt bottle mustard and a jarred mustard, but harder to picture the tomato paste test. Clearly any tomato paste that runs downhill at all, in any length of time, would be too thin. Tomato paste is a “non-Newtonian suspension.”[xii] It is thick, and fundamentally it is a paste. For the record, a whole can of tomato paste, removed from its can, will slide down an inclined porcelain surface as a whole unit – just had to try that. A 6 ounce can of tomato paste is nearly always more tomato paste than is required by modern American recipes so a substantial amount of product will be wasted in the end, leaving the buyer in a state of “tomato paste regret.” There is a very narrow historical window in which the 6 ounce can[xiii] was the common basis for an entire spaghetti sauce, somewhere in between Elizabeth David’s Italian Cooking and the current day. Today, recipes use substantially less tomato paste, on the whole. Malcolm Gladwell gives us a clue as to the current state of American tomato pastes, which are getting farther and farther from plain tomato paste – flavored and tarted up with spices and garlic. In a TED talk about spaghetti sauce and happiness[xiv], he recounts the development of varieties of commercial spaghetti sauce (usually overly sweet, thick, unctuous and gooey in my opinion) that changed the way that Americans purchase prepared sauce. The tomato paste industry has apparently applied the same thinking to tomato paste, now providing different flavors of tomato paste, and in a dark new twist, the cans may only be labeled “PASTE” with the word “tomato” in tiny letters off to the side. Take a look at the major brands when you next visit the grocery store and you will see this bizarre phenomenon in action. How does tomato paste taste, actually? A bunch of us sat down to dinner on a weeknight in March and opened up 4 cans and a tube of tomato paste. The prices varied from 69 cents for the can to more than 3 dollars for the tube. Although all these products did taste fundamentally of tomatoes, cries of “acrid”, “bitter”, with “hay” or “hamster bedding” notes, filled the air around the table. In general, the pastes were not particularly appealing on their own. We all remarked about the ubiquitous recipe ingredient “1 Tablespoon of tomato paste” – so irritating because if 1 Tablespoon is used, an open can of paste will lurk in the refrigerator, pressuring the cook to use it up or store it carefully, otherwise wastefully discarding it later while around the world there are people starving. Helpful websites provide hints about how to portion and store tomato paste, suggesting that other consumers are unhappy with the can sizes as well. You can cut out both ends of the can, push out the tomato paste as a cylinder, slice it and freeze the slices. [xv] Did you know that? Or you could smush tomato paste in to ice cube trays, freeze them and pop out the cubes for later use. Substitutions are also an option – such as rehydrated and blended dried apricots or prunes to provide a paste consistency and that intriguing sweet-sour note, or dried tomatoes. The tomato is also a fruit, after all, not a vegetable. And yet, we have all read that the school lunch program recognizes 2 tablespoons of tomato paste as a vegetable[xvi]. In these same fine documents we learn the shocking and perhaps more interesting news that acorns are not permitted as a nutritional equivalent to meat. This exclusion suggests that someone somewhere might have been planning to try to feed acorns to school children, as if the children were pet squirrels. So, next time you reach for the acorns to build dinner, just remember that these are not the same as meat. [xix] As greatly perceptive as children are, the ludicrous irony of the school lunch program will not be lost on them, and one day those same children will be running the country. Think about this future world, FDA, before your bureaucracy compromises on child nutrition, hiding the outcome in these footnotes and allowing a canned paste to have the same stature as a fresh vegetable. We will one day look back at the beginning of the 21st century, when adults fed tomato paste to children calling it a vegetable, manufacturers called a food product “paste” without really saying what kind of paste, and advertisers offered coupons and promised “visitors” to writers instead of money, as if these held value like a coin of the realm. Perhaps we can somehow alter the course we are on, as we go further and further in to the virtual world, and ascribe greater value to the real things than to the false products that surround us. 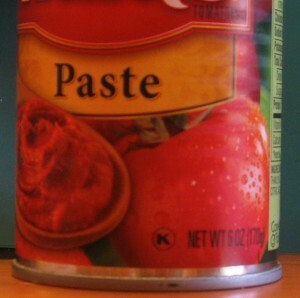 [ii] “2011 Tomato Paste and Processed Tomato Statistics.” Www.morningstarco.com. The Morning Star Packing Company, 31 Mar. 2011. Web. 19 Apr. 2012. [iii] “Processed Tomato Products Outlook and Situation in Selected Countries.” FAS/USDA. Horticultural & Tropical Products Division, Sept. 2003. Web. 19 Apr. 2012. [iv] David, Elizabeth. “The Italian Store Cupboard: Pomidoro E Concentrato Di Pomidoro.” Italian Food. New York: Alfred A. Knopf, 1958. 29-30. Print. [v] “Contadina Roma Style Tomatoes: Tips and Advice: Our History.” Contadina Roma Style Tomatoes. Delmonte Foods Corporation. Web. 19 Apr. 2012. <http://contadina.com/tips-advice/history.aspx>. [vi] Office of Price Administration. Handy Point Chart for Processed Foods: Point Values of Popular Items, Effective October 31, 1943. Ames Historical Society. Des Moines Tribune. Web. <http://www.ameshistoricalsociety.org/exhibits/events/rationing_paper.jpg>.Des Moines Tribune, Friday October 29, 1943, Page 9. [vii] “Food Label – La Tosca Tomato Paste, 1950s.” Melbourne Museum. Museum Victoria. Web. 19 Apr. 2012. [viii] U.S. v. 50 Cases Peeled Tomatoes No. 3 Cans; U.S. v. 50 Cases Peeled Tomatoes No. 2 Cans; U.S. v. 50 Cases Tomato Paste. Http://archive.nlm.nih.gov/fdanj/bitstream/123456789/38466/4/fdnj02984.pdf. Middle District of Pennsylvania. 30 Mar. 1914. Print. See Bureau of Chemistry Service and Regulatory Announcements. 1914. p.198-199. [ix] “Snapshot of Food Safety Milestones in the History of the FDA.” Snapshot of Safety Milestones in the History of the FDA. U.S. Food and Drug Administration, 19 July 2011. Web. 19 Apr. 2012. <http://www.fda.gov/Food/FoodSafety/FSMA/ucm238505.htm>. [x] USDA. Methods of Analyses for Tomato Products: Determination of Consistency. USDA. U.S. Department of Agriculture: Processed Products Standardization and Inspection Branch, Sept. 1971. Web. 19 Apr. 2012. <http://www.ams.usda.gov/AMSv1.0/getfile?dDocName=STELPRDC5074096>. [xi] Gatenby, Art. “Bostwick Consistometer – Incline or Not.” CSC Scientific Blog: A Blog About Test Equipment. CSC Scientific Company, Inc, 27 Aug. 2009. Web. 19 Apr. 2012. <http://www.cscscientific.com/csc-cientific-blog/bid/25543/Bostwick-Consistometer-Incline-or-Not>. [xii] Heidarinasab, A., and V. Moghaddam Nansa. “Time Independent Behavior of Tomato Paste.” World Academy of Science, Engineering and Technology 62 (2010). Web. 13 Feb. 2012. <www.waset.org/journals/waset/v62/v62-8.pdf>. [xiii] Other can sizes have withered on the vine of history – the “No. 1 Picnic” or the No. 303, for example[xiii]. Perhaps the 6 ounce can for tomato paste will join them! [xv] Deb. “Get the Most Out of That Can of Tomato Paste.” The Scoop : Posts from the BHG Test Kitchen. Meredith Corporation: Better Homes and Gardens, 7 Jan. 2011. Web. 19 Apr. 2012. <http://www.bhglivebetter.com/community/blog/2011/get-most-out-can-tomato-paste-0>. [xvi] Kliff, Sarah. “No, Congress Did Not Declare Pizza a Vegetable.” Washington Post. The Washington Post, 21 Nov. 2011. Web. 19 Apr. 2012. <http://www.washingtonpost.com/blogs/ezra-klein/post/did-congress-declare-pizza-as-a-vegetable-not-exactly/2011/11/20/gIQABXgmhN_blog.html>. [xvii] “Final Rule Nutrition Standards in the National School Lunch and School Breakfast Programs – Jan. 2012.” United States Department of Agriculture : Food and Nutrition Service, Jan. 2012. Web. 19 Apr. 2012. 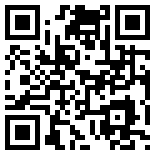 <http://www.gpo.gov/fdsys/pkg/FR-2012-01-26/pdf/2012-1010.pdf>. We like crunchy bread crumb topping on baked casseroles and fish, and things like that. Even at the many restaurants that are serving gluten free foods now, we find that the crumb toppings are too sandy in texture, and everyone from the gluten free community knows how disappointing those mushy crumb toppings are – like wet sand on the beach on a rainy day, only worse. I mean, why bother putting “crummy” crumbs on the top of a piece of codfish? So you can say it has a ‘crumb’ topping? Not on my fish you don’t! Well, Gf-Zing! recently tried using Glutino brand cinnamon raisin bread, grinding it in to crumbs ourselves in the food processor, and then following a recipe from America’s Test Kitchen for Baked Chicken Breasts with Parmesan-Garlic Crust. The combination of the Glutino bread (don’t worry about the cinnamon/raisin flavor – it works well) made in to crumbs, parmesan cheese and oil seems to account for the crispiness of the topping. A mixture of 1 part crumbs, 1/2 part finely grated Parmesan cheese, 1/8 part olive oil, salt, pepper, garlic and seasonings, applied to the top of chicken which has been spread with gluten free mayonnaise, and then baked at 425 for 20 minutes will give you a chicken with crumb topping that is quite satisfactory. If you don’t have fresh basil, do not use dried basil for this recipe. It’s been a couple of years since we had a good pound cake, with a fine crumb, a rich buttery taste and a golden exterior. On a whim, we purchased a box (it is a large, heavy, substantial box) of 123 Gluten Free Delightfully Gratifying Bundt Poundcake and took it home. This cake really is easy to make – you add 3 sticks of softened butter and 5 eggs, and then, and here is the fun part, you add 3/4 cup of soda (pop)! The batter is pretty heavy before you add the soda, and then things start looking like batter and it’s off to the oven in the angel food cake pan – the kind with a tube up the middle. We let it cook until it was nice and brown and the bamboo skewer we stuck in the middle came out clean. We greased the pan using the wrappers from the butter and then “floured” the pan with tapioca flour as instructed on the package. This is a rich, bad-for-you treat is excellent on its own, and even better with a little bitter marmalade spread on a slice for breakfast. We will be trying it out in a few recipes that call for a “purchased pound cake” as well. Update: We tried this cake again, using a tangerine soda, and added the grated zest of two lemons to the mixture. This made a much more lemony cake, and we liked it even better. Note also that the mix is expensive, but that the resulting cake is very substantial – it will last quite a while, even when sliced thinly. Unlike other gf cakes, this one is just as good, if not better, than what the glutenated world eats. Next time, we will experiment by adding orange peel and a lot of dried currants to make a tea cake. We are very optimistic about this mix and the potential for some really great desserts. This is A Gf-Zing! recommended product. Gf-Zing! 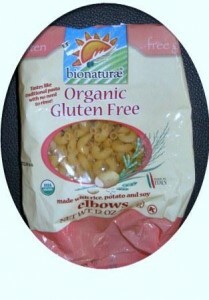 does not verify the gluten free status of any product. We were formerly wheat pasta snobs of the first order, satisfied only with al dente pasta perfectly cooked and served with a truly Italian sauce, so we were dismayed to enter the world of gluten free life, a world of mushy and nasty pasta impersonators, until we encountered the Tinkayada penne. We had tried the quinoa pasta, the corn pasta etc. and had settled for the Notta Pasta brand, which is similar to a Thai noodle that you might find in pad thai dishes. But, what to do if we wanted to sauce the noodles up with a zesty arrabiata sauce? Here is the answer – try the Tinkyada penne. It will stand up to an Italian sauce! We have tried all shapes and sizes of Tinkyada pasta, and firmly believe that the penne is superior to the others. You may find it a good idea to cook this pasta slightly less than the package calls for – maybe a minute or too less. Also, you must absolutely rinse the pasta for unknown reasons, but you should follow this instruction – rinse the pasta after cooking, but before you add the sauce, of course! This pasta is chewy and tasty. This bread does not try to be fluffy or soft. It is like the traditional Bavarian square, thinly-sliced whole-grain breads that are made from wheat or rye, but it is made from rice, corn, millet etc. It is pleasantly sour, with both the aroma and taste of a sour-dough bread. Once toasted, it is excellent for spreading with Eggplant Caviar, Chicken Salad, Egg Salad, or smoked fish. It is most likely to appeal to adults, because of its sourness. It is a very superior gluten-free bread product, and one which fills a tremendous void for the gluten free community. Update 2011: the bread products from this company contain lupine flour. Please check with your doctor to verify whether you should eat lupine flour. Notta Pasta – the fettucine style – it rocks! This pasta is about a centimeter wide when dry, and cooks in 5 minutes. We tried it using a sauce recipe from the Notta Pasta website, the mushroom sauce, and were highly impressed. First of all, the noodles are an excellent length – not so long that they get tangled in the pot. Secondly, they are chewy and stretchy, suitable for al dente cooking. Thirdly, they do not require rinsing as the Tinkyada (another favorite) pasta does. Fourthly (is there a fourthly? ), the recipe that we used from their website was mighty tasty and the amount of sauce was correct for the amount of pasta. We did not use the whole teaspoon of salt called for in the recipe, only a half teaspoon, but the recipe was great in all other ways. We used top-of-the-line, flavorful parmesan from Italy, not some cut-rate parmesan without flavor. This Notta Pasta costs about $3.25 per one-pound box. The recipes on the website are for 8 ounces, which turned out to be enough for three people who are not gluttons (a word play on gluten – sorry!). Anyway, we like this pasta a lot, and will use it again. Mary’s Gone Crackers, which we have purchased from Debra’s Natural Gourmet, in West Concord, Massachusetts, are an excellent addition to the gluten-free world. These crackers are all seeds, and very interesting. They are not dull, and they are extremely crunchy. The black pepper flavor has a pleasingly spicy bite to it – quite peppery! If you like seeds, you should try these crackers! You will not be wasting your money! They are good with cheese, and they are also good all by themselves. The Luscious Chocolate Cake Mix by Pamela’s comes in an attractive bag, and has a recipe on the side that is just absolutely stunning! The chocolate pound cake recipe, to be found on the side near the bottom of the bag, if made with gluten free chocolate chips added, will satisfy even your pickiest non-GF friends. It is a first-rate cake. The cake will stay moist for days and will not fall apart or become petrified. This is the best GF chocolate cake mix we’ve tried yet, and that’s after trying quite a few mixes. Wasting money is always a concern in the GF world, since everything is so darned expensive – how many times have you purchased a GF product and tipped the resulting “cake” or “bread” into the trash receptacle, wondering if the ancient Egyptian tomb builders might have used a similar mixture in building the great pyramids? That’s happened to us a few times, and it is so aggravating when you’ve shelled out a five-spot for the privilege. Well, go ahead and splurge on Pamela’s Chocolate cake mix, and a bag of GF chocolate chips, and then have the chocolate pound cake for breakfast also, in case you didn’t eat enough of it at dinner. Ok, we’re done raving but did we mention that Pamela’s Luscious Chocolate Cake Mix might become a staple food for us? Jennie-O Macaroons are delicious! They say “gluten-free” right on the can (they come in a can), and they have very few ingredients – a good sign! We buy them in the Whole Foods Market, and at Debra’s Natural Gourmet, in West Concord, Massachusetts. These macaroons are in a yellow 8-ounce can, with a picture of a gentleman sporting a beard and spectacles on the label. That’s how you’ll find them in the cookie section – the package looks sort of like a small can of coffee, but with macaroons inside. They have apparently been being manufactured since right after World War I, which means they have some history to them and it means they are good or they wouldn’t be in business. English muffin. We actually look forward to eating these for breakfast! More choices, and Better Toast! The search for good gluten free bread continues! We are looking for a bread with flavor! Somehow, when bread is made without wheat, the resulting bread can be flavorless – no matter how much herb and spice is added. One of our associates calls it “the black hole of flavor” in that an infinite number of flavorings can be added in to a rice-based bread yielding absolutley no improvement in the flavor whatsoever! We are also always looking for gluten free breads with structural integrity and moisture. Recently, gluten free-bread mix manufacturers have begun branching out from the old rice flour recipes, adding interesting new elements like sorghum and chicory root. The result is that we now have more choices and better toast! The latest entry into the gluten-free Bread arena is a new mix from Pamela’s, which the manufacturer describes as gluten-free. Pamela’s new Amazing Wheat-Free Bread Mix makes a nicely flavored bread that is perfect for sopping up gravy! This bread has a sort of spongy quality – you can drag it around the plate and it actually absorbs gravy instead of falling apart. Try it with the Beef Stew braised with Chianti and Coffee (filed under Meat Recipes). Interestingly, you can also return to the loaf of bread a day or two after baking it and the loaf is still moist and attractive! You don’t need to relegate this one immediately to the cryogenics department for eternal frozen suspension. You can leave it on the table, wrapped up, and return to it later without worries. This is a miraculous development, for those of us familiar with the old bricks of frozen rice bread that crumble to dust when awoken from their frozen state. How about toast? Pamela’s requires longer toasting than wheat bread would, yielding a browned piece of toast with a pleasant, homey flavor. The flavor is unique and slightly sweet – something to look forward to at breakfast! We are looking forward to trying this product again, in particular the intriguing recipes for cinnamon bread and sweet bread that are on the side of the package. Also, especially interested in using it for french toast – it may be perfect for that! Oh my! This organic fruit spread – Fiordifrutta – from www.rigoniusa.com is quite delicious. It has a very concentrated fruity flavor and is not too sweet – Fiordifrutta — just perfect for dressing up a drab gluten-free pound cake. The website claims that the product is made only of fruit, no corn syrup in there for anyone concerned about corn allergies. The lemon flavor product has pieces of lemon in it, spreads nicely, and has just a ton of flavor. Best of all, you don’t have to make it yourself. The strawberry flavor reminds us of homemade jam. There is a slight bitterness to these products which will be attractive to sophisticated adult palates. This product is available for sale at Debra’s Natural Gourmet in Concord, Massachusetts. We purchased a store-bought GF pound cake and spread the lemony treat on a slice, then served it with a cup of hot darjeeling tea – on pretty china. We felt like we were sitting down to some kind of nineteenth century tea in a novel. Felt like normal; actually, felt better than normal. Lemon or Strawberry Fiordifrutta – A Gf Zing! recommended product!